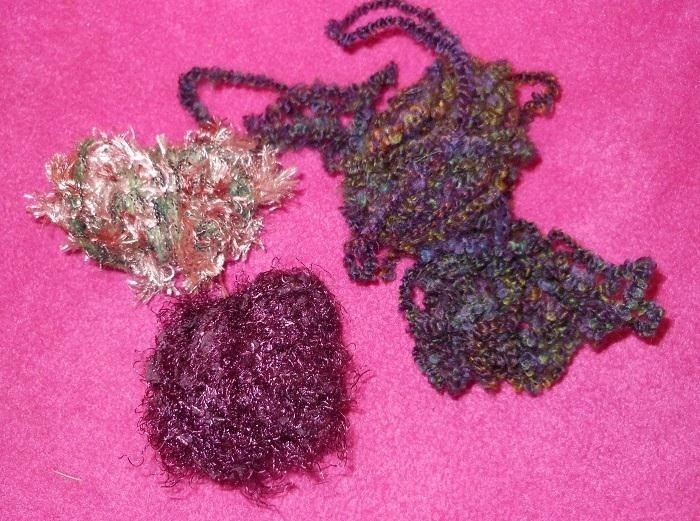 If you save scraps of yarn, and have a dog, this is an easy project for you. The Mobius scarf has the advantage of not having any ends to come untied, or dangle down for your dog to trip over, or get tangled in branches and stuff. 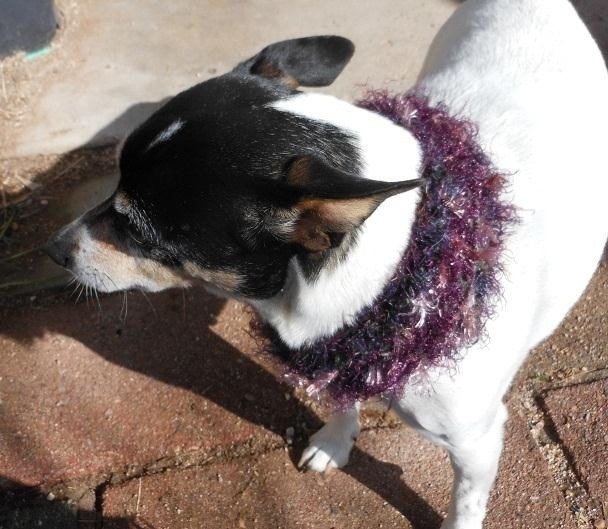 I made this one for Pepper, my 16lb rat terrier. I had very little yarn to work with. I had one more ball, but it had just a little more on it than the largest shown here. With a tape measure, measure your dog's neck. Pepper's is 12 inches. Add a couple of inches to this measurement for ease. I added 3 inches to make the neck size 15 inches. For a larger dog, more would be added, and less for a smaller dog. This measurement will be used to calculate the number of stitches you will need to cast on. I chose no. 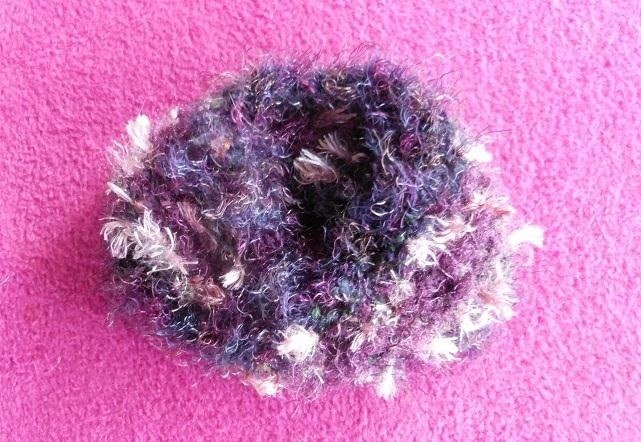 11 needles, as this was a bulky weight yarn. Needle sizes are often recommended by the yarn manufactures. However, for this project, a larger needle gives a softer piece. 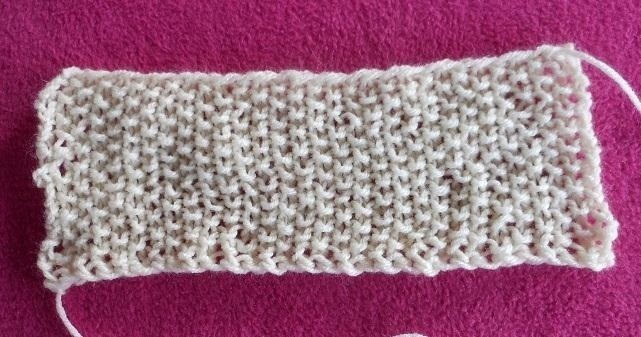 I used the garter stitch, all rows k. In choosing your stitch, remember that to form the Mobius band, the strip will be turned a half turn so the back and front meet at the seam. You want both sides to look similar. For instance, a cable would not work , as the back doesn't look like the front. The seed stitch and a basket weave stitch both work well. Perhaps you know of other stitches that work as well. 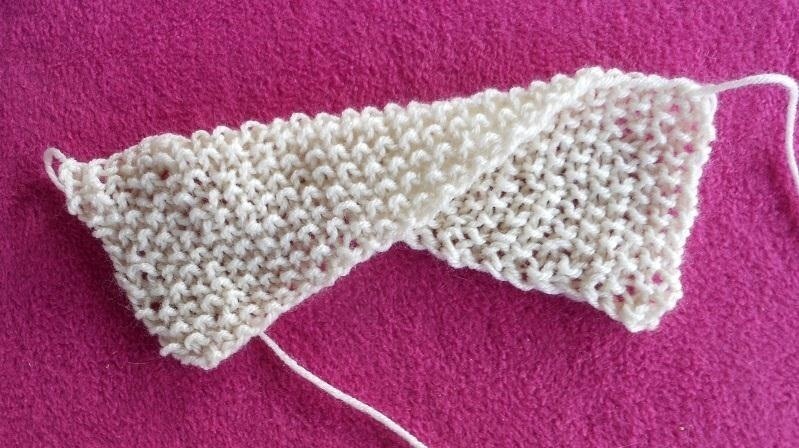 Knit a sample to determine the gauge: cast on 10 stitches and work in your pattern for several rows. Measure the number of stitches in 2 inches and divide by 2. This will give you the gauge. Mine was a bit over 2 stitches per inch. 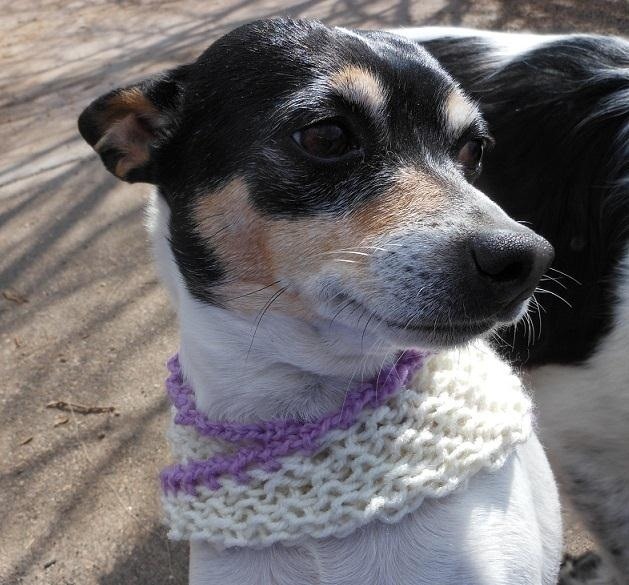 Multiply the number of stitches per inch times the neck size : For Pepper's it was 15 X 2 = 30 stitches. I didn't worry about the bit over 2" . Step 7: How Many Rows to Knit? I have not mentioned the number of rows per inch, because I just worked the piece until it looks wide enough. I worked 20 rows which turned out to be 4 inches. 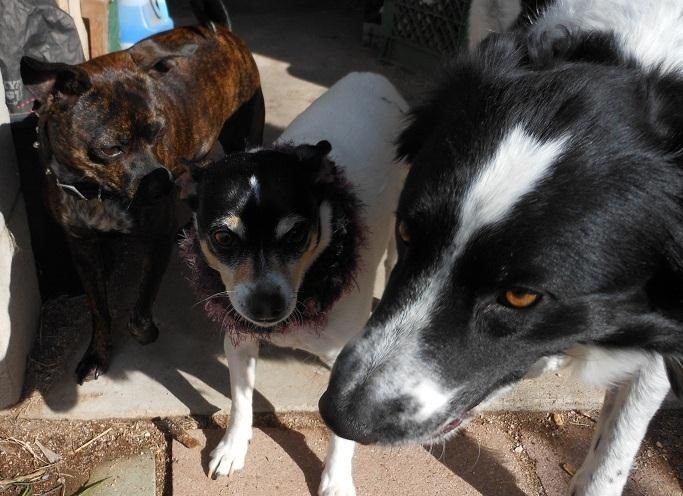 For a smaller dog it should be narrower, for a larger dog it should be wider. Use your judgement. You don't want it to end up being a cervical collar for yor pup. Cast on the number of stitches you calculated and work in your pattern until it is as wide as you want it. Cast off loosely. For the fuzzy scarf, I knit bands, using the diferent yarns with the sequence AAA B CC DDDD CC B AAA, so when I joined the bands the colors would match. There were only 16 rows in the fuzzy one. 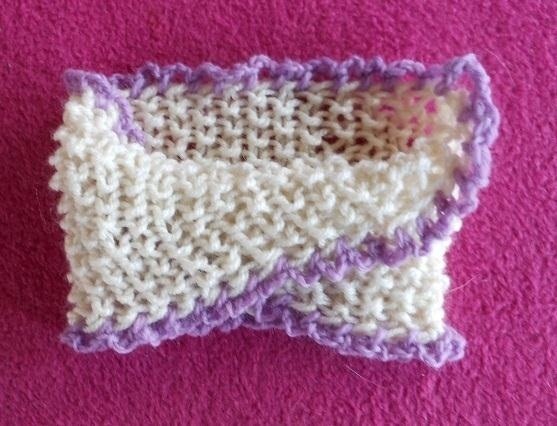 Pin the ends together, then sew them together to form the Mobius band. 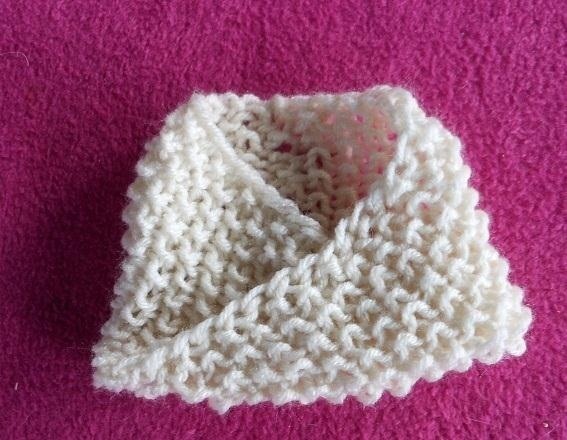 I added a crotchet edging to the white one to add a little color: I used a bit of sport weight, 3 ply wool, and a no. F crochet hook. 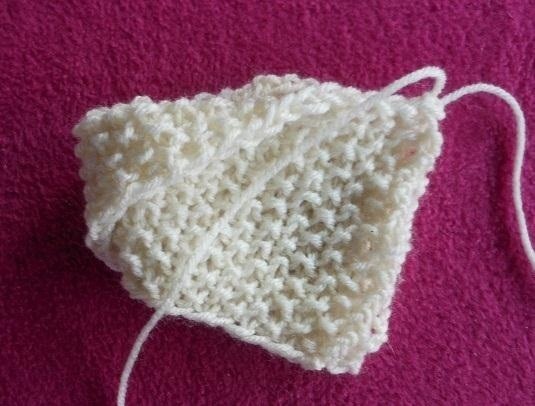 Join the yarn to one of the cast off loops, ch 3, sc in next loop, repeat around the edge. and let her show off to the others!